After only four days of using my Pelvic Toner I am already noticing a huge improvement in the control of my bladder. I am both amazed and delighted by the result and intend to carry on with daily exercises. The device has enabled me to identify my pelvic muscle, something I had found impossible to feel or use prior to this. I can even now continue my exercises throughout the day, whatever I am doing, which is what my Continence Nurse has been encouraging me to do. I feel so encouraged and excited that at last I shall be able to overcome my embarrassing urinary incontinence problem, without surgery. I will keep you informed of my progress. 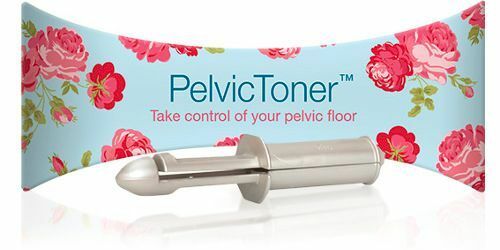 I can tell that using the Pelvic Toner will make my sexual relationship with my husband 100% better for us both, since my pelvic muscle is becoming sensitive and responsive again. The best thing is that it has already changed my negative feelings (caused by my incontinence problems), into a very positive frame of mind. I know that my confidence will return, so that I am not limited to constantly being in striking distance of a loo!! I have even been afraid to risk travelling into town on a bus, and have not dared to take a holiday for the past two years. Whilst I am very happy to recommend your product to any woman experiencing difficulties, either with incontinence or sexual relations, particularly following childbirth (something I remember VERY vividly), I would prefer not to have my name or photograph used in publications because it would embarrass me, and my family. Should you wish to quote me anonymously, then I am quite happy.